We are holding an exhibition of all the prize-winning works at YouFab2017! Come to see 20 works that were carefully selected from a total of 227 works submitted by people from over 26 countries at the exhibition. 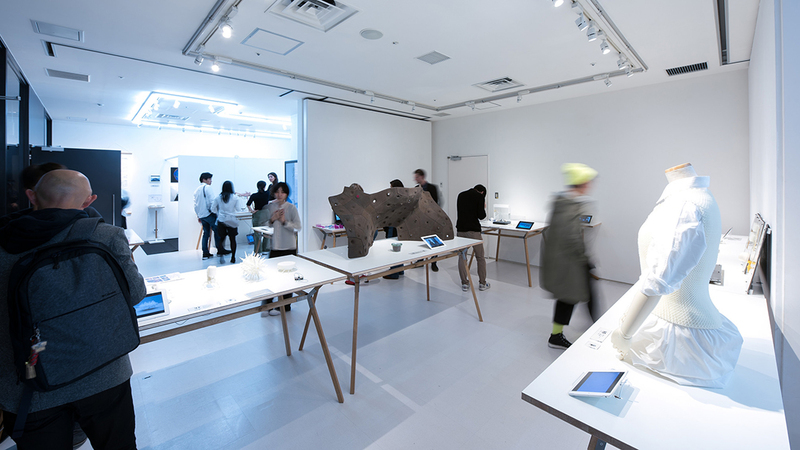 YouFab has been collecting works that were created from joining the digital world and physical creation upon the foundation of FAB (digital fabrication). In this year, we were able to see entirely new expressions in areas especially in design, technology, and art, which brought forth numerous exceptional works that were thought to have been impossible until now. Besides these fields, we also noticed considerable advancements in educational tool kits, ways in hacking pre-existing products, bioresearch, and so on. 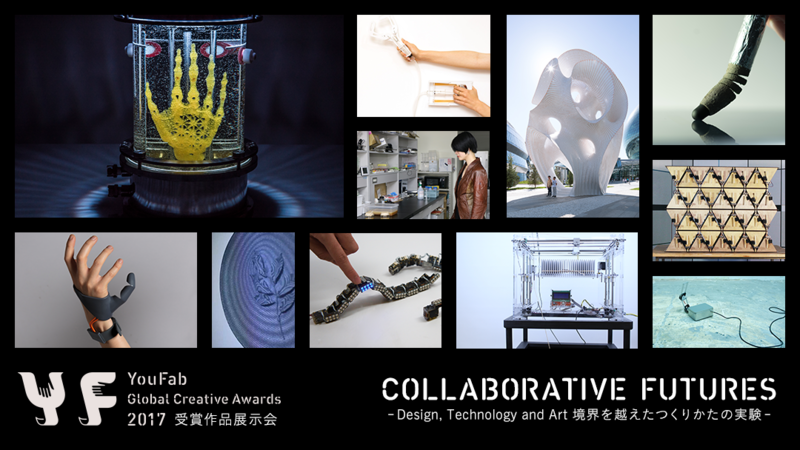 Titled COLLABORATIVE FUTURES-Design, Technology and Art-, the exhibition conveys new forms of collaboration through 20 works by our brilliant prize winners, who have crossed the boundaries of various fields. Alongside the revolution in technology, creators, as well as their aspirations, their reasons for new creations, and their methods, are all evolving. Do come and visit us to see it for yourself. © YouFab Global Creative Award 2018. All rights reserved.